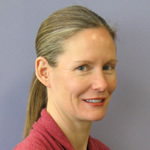 Alicia Brillon is the Head of Technical Services and Acquisitions at the University of Utah S.J. Quinney College of Law Library. Previously she was a librarian at the University of Colorado Law Library from 2006 to 2014. Prior to becoming a law librarian, she worked as in-house counsel for a number of technology companies in Seattle, including for 3 years as Associate Counsel at Amazon.com working on intellectual property issues and software and content licensing. She then obtained her MLIS degree from the University of Washington. She is a member of the Washington State Bar Association, the American Association of Law Libraries and the Colorado Association of Law Libraries. She obtained her Bachelor of Arts degree from the University of Washington in 1989 and her Juris Doctor from Seattle University in 1995.